In February 2007 there was a week of spectacular snowfall. This coincided with the visit of some Swedish music students from Stockholm, to join forces with members of my chamber music project String Quartets From Scratch (‘Squiffs’), to give a first performance of a new work we had commissioned from John Joubert to celebrate his eightieth birthday year. So great was the chaos caused by the snow, several of the hosts couldn’t reach the collection point and all the Swedes had to stay in one house for the first night! This year, just after Easter, it was the turn of a group of SQFS members to visit Sweden. As all the internet weather sites forecast snow and temperatures of minus 4 to minus 10 degrees, there was much last minute scurrying about getting stout boots and waterproofs organised. But what actually happened was a sudden Spring miracle - warm sunny weather for much of the time, and even if it was windy at least it was dry! The Swedish end of the project was masterminded by Catherina Grunér Kronqvist, who teaches in a Music School in a suburb of Stockholm. Our plan was to create a pleasant social atmosphere, with guests carefully matched to host families. Many of the meals were ‘communal’, with parents bringing food to our base at the Music School. The Swedish families were terrific hosts, and from the first evening there was lots of good food and opportunities for pupils to get to know each other. 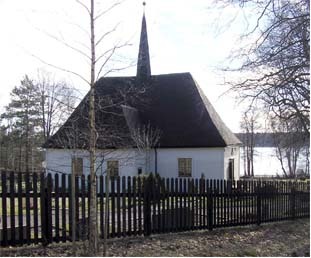 A church on the edge of the archipelago to the east of Stockholm was also involved in the exchange. We were to play pieces by Bach, Telemann and Stone during a special Easter service for retired people, and the SQFS chairman volunteered to do one of the ‘readings’ in Swedish. A hilarious evening was spent watching her being coached in the finer points of pronunciation by the veteran Velo cycling champion of Sweden (Catherina’s husband). “For correct intonation just think of the Swedish cook in the Muppets,” was his memorable advice! The clocks having gone back twice during the visit, our Sunday morning had a very early start. But after the rehearsal, the church provided hot drinks and pastries, and once again we felt extremely well looked after. The service was in Swedish, but we all attempted to join in the hymns. The SQFS chairman read with great aplomb, and the congregation was duly impressed by her sporting effort at pronunciation. Our music-making fitted in very comfortably, and it was wonderful soaking up the relaxed silences before and after each piece. The beautifully decorated wooden church dates from the seventeenth century. 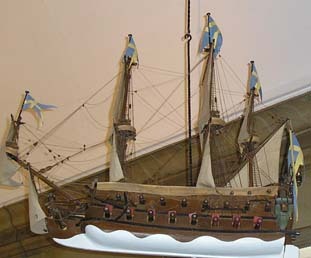 Like many Swedish churches by the sea, it has hand-made painted ships hanging from the ceiling, presented by sailors as tokens of thanksgiving for having surviving life-threatening storms. Afterwards, at the ‘Spring Lunch’, in-between munching hot dogs and more delicious cakes, we took it in turns to play folk music, duets and trios. And later in the afternoon, to work off a few of the calories, there was a walk by the sea, in sharp sunny air. It was a wonderful few days, and through the power of music lots of friendships were made and strengthened. 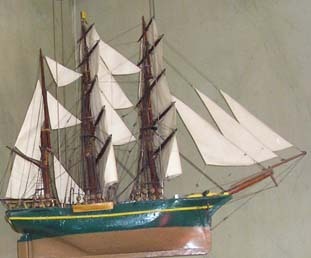 We look forward to welcoming another Swedish contingent to the UK sometime in 2009.